← Wildflowers Blooming at the Barton Warnock Center Garden. 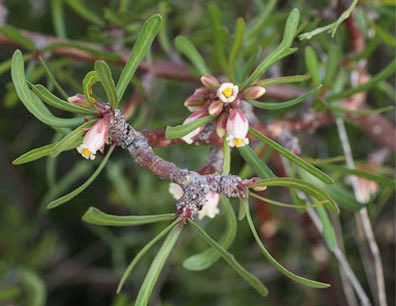 Botanizers are a bit like birders. They’ll go to great lengths to see a particular plant. 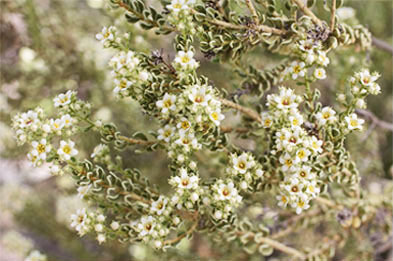 This year, West Texas is a paradise for botanizers. Since we are having such a fine year out here, I’m adding wildflower photos as soon as the plants come into bloom so that folks can know what’s blooming right now. Here’s last week’s crop. One of the prettiest Prickly Pears out here. 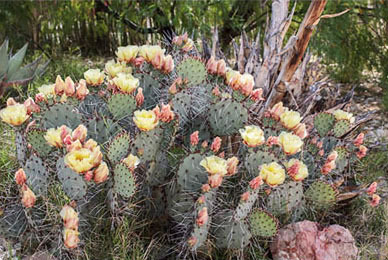 The Spiny-fruited Prickly Pear is named for its prickly fruits. 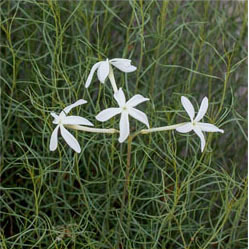 Rough Mortonia looks almost crustacian when not blooming, but is covered with tiny cream-colored blossoms now. I’ve shown this one before. It has good medicine for sore gums. This common Echinocereus blooms in different colors. The blossoms are usually yellow, but this year there’s a lot of salmon-colored flowers. 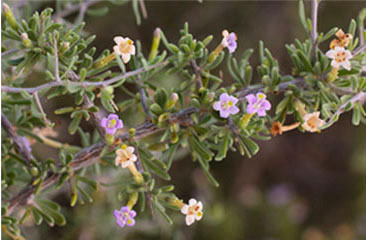 This spiny shrub puts out bouquets of tiny flowers in many colors. They are particularly nice this year. This plant is showy in a different way. Dark wine-colored flowers contrast distinctly with the yellow soils of the Pen Clays. There’s no blue in the blossoms of Amsonia longiflora, but the flower buds are tipped with a pale blue just before opening. 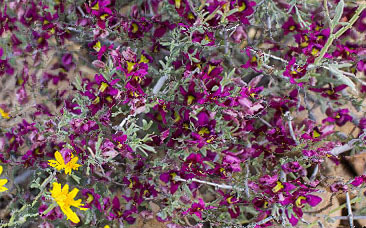 This entry was posted in Big Bend Ranch State Park, Plants. Bookmark the permalink. You’ve confirmed what I heard: there were excellent wildflower displays in the Trans-Pecos this spring. I wish I’d made it out there. 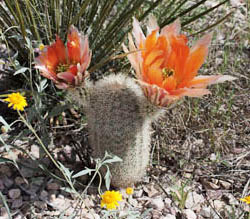 Good tour, and I saw a rainbow cactus w/ orange and yellow flower petals like your’s…never have before, just pale yellow. A response to more rain and timed differently? See you here in El Paso at Flora Fest! I am very grateful for this post. Yesterday while we were leading a tour at Hueco Tanks State Park & Historic Site I photographed a white flower that looked a lot like the wooly bluestar. And then today I got your post, and was able to identify my flower. Thank you. I love it when blog posts are useful as well as beautiful to look at.